Sample based pianomodule for Reaktor 5. It's build around 2 velocity layers each 14 stereo samples. 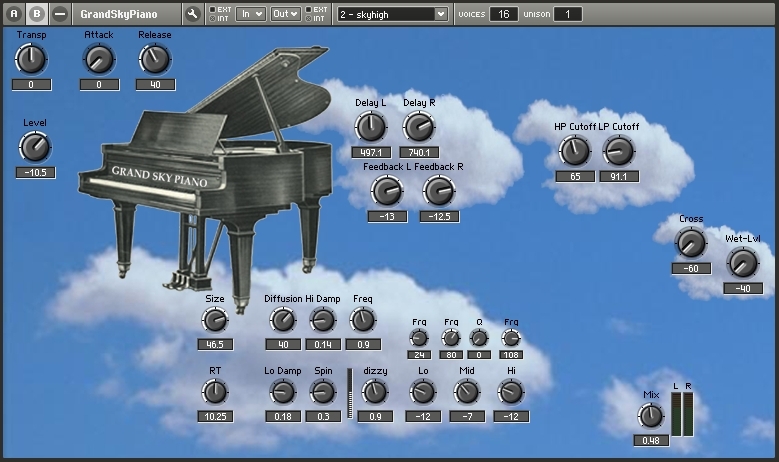 You can also download GrandSkyPiano with more samples.